I used a telephoto lens to capture this image of a circular window near the roof top on an old house. 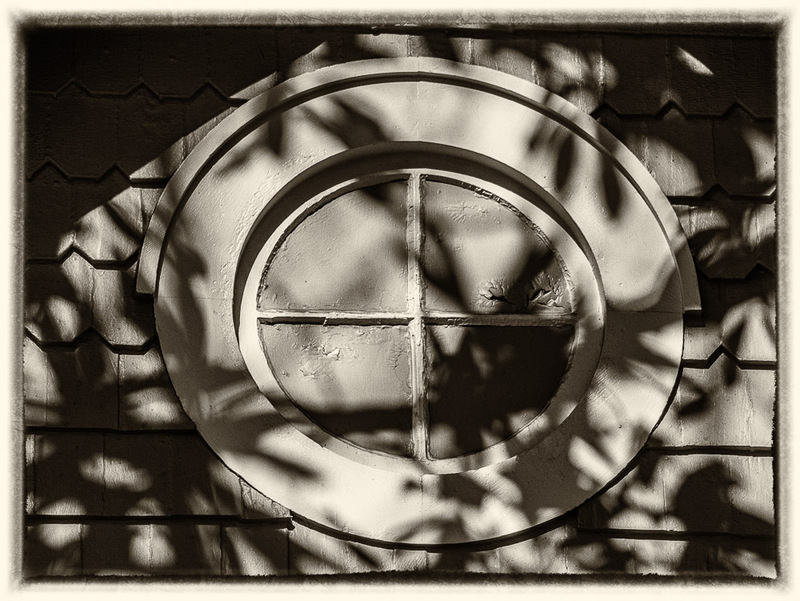 I liked the way the shadows contrasted with the circular lines of the window. 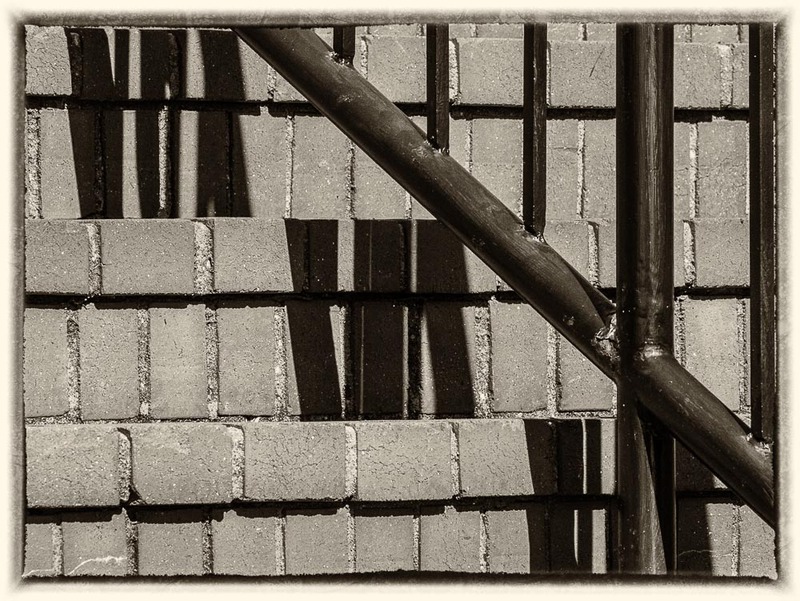 Same with the photo below, but now we’re using straight lines and shadows. Those shadows in the middle look a bit like Roman numerals…whatever. The original color photos look better (to me) in black & white (sepia actually).